A: Relax—GREATNESS takes time! Players don’t develop over weeks or a few months, it takes a year or years to begin to see significant differences. It’s up to you to decide if you are willing to put in the time and it’s up to you to remain mentally tough. People tell me almost every day that I won’t succeed, or that I won’t achieve certain goals I have for myself. But what I’ve learned over the years—that those people are often the ones who are most afraid that I will succeed. Looking back, those people who told me that I wouldn’t succeed are the same people who were afraid that I would actually succeed and eventually one day—replace them! I doubt myself at times (everyone does, even the best competitors have at some point). I wonder if I’ll ever be good enough—but then I look back at my accomplishments and realize that I have achieved more than I ever dreamed I could… and I still have decades ahead of me to set and achieve even more goals! #1- You need to set one or two goals! Don’t overwhelm yourself with many improvements you need to make—just worry about the a few really important ones! Pick one weakness and one strength—what can you become the best at in your school/city/state, and what is your biggest weakness that needs major improvement? Start with just those. #2- Now, after you have set those goals, put a number on them, make them specific. Make them measureable goals. You may have to pick a position-specific goal and chart your workouts—partner with a teammate and keep track of balls caught/dropped, shots made, batting average, reps in the weight room. #3- Now give yourself a deadline… many experts say you should work in short-term goals. Six weeks, three months. Don’t put a deadline on your goal for a year from now, break it down into smaller, more achievable deadlines. #4 – Ask your coach for drills. Ask for advice, ask players who are good at you want to be good at, ask them for advice. Often, there are little tips, tricks or minor adjustments you can make that will help you become more efficient and make a big difference. #5- Write down your goals and put them in a place you will see them every day. Verbalize them. Tell your friends and family your goals—it will make you more likely to stick to them if you are sharing your goals with other people. #6- Visualize what it would be like to achieve your goals. 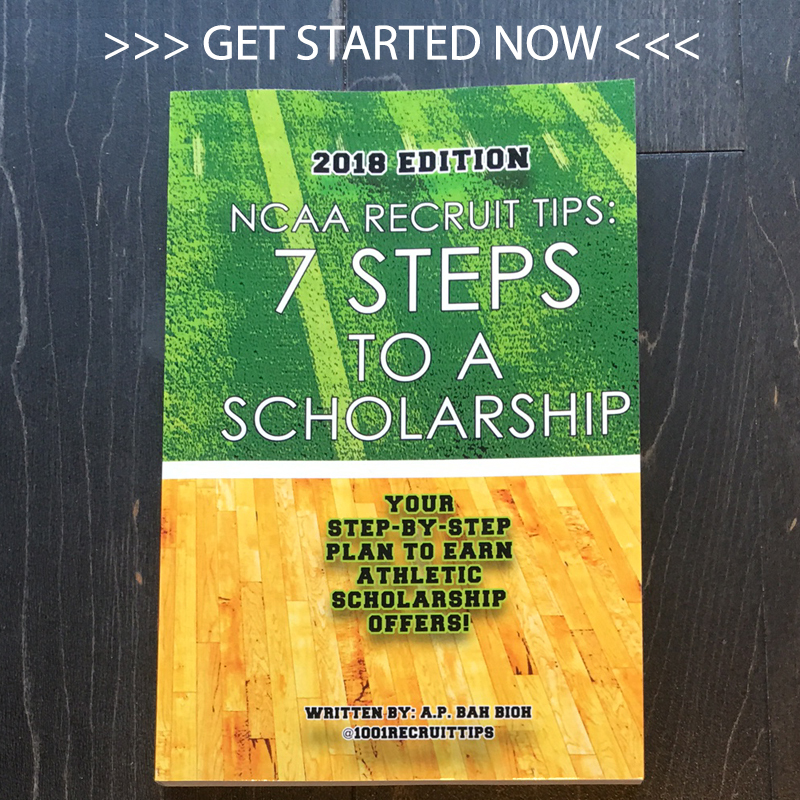 Close your eyes and spend 10 minutes in silence thinking about what it’ll feel like when you hit your goal, what it will feel like when you get that phone call from a coach offering you a scholarship, what it will feel like to be packing for college. Some of the greatest competitors visualize themselves achieving their goals, years before they actually happen. Build that passion within you, it will help you tune out the negativity of your doubters. Visualize, over and over—and then get up and work like heck to make them happen! Yes, the work you put in today is helping you get there. 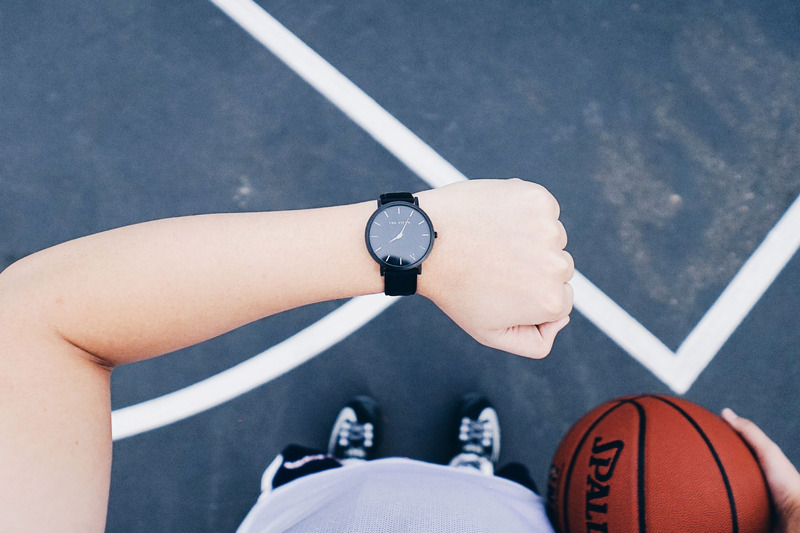 All those extra workouts add up over an extended period of time—months and months. While you are in high school, your body is still developing and you still may have time to grow a few inches taller and put on some more weight. Keep working—you may not see the results tomorrow or next month but they will make you a better player and give you better chances of playing at the collegiate level! We may not get there today, we may not get there next week—but we WILL get there if we keep putting in the work! I see miracles happen every year, and players make major turn-arounds all the time! Just takes a little extra patience and faith that your hard work will pay off!